Nancy married Dr. Durbin in 1986. They have two children, Chelsy and Clifton. Nancy helps out on the family's farm and manages the clinic's finances. Dr. Durbin started this veterinary practice in August of 1984 striving to create a community involved clinic. He recieved his Bachelor of Science from SIUC and his DVM at the U of I. Dr. Durbin is involved in farming and has his own beef cattle herd. His emphasis is on having fun and supplying a respectable service to the community. Dr. Durbin also enjoys helping local FFA and 4H programs and likes to support the youth and all their critters. 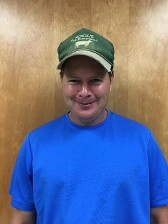 Dr. Schumacher joined the staff of Durbin Vet Clinic on June 8th, 2015. She was raised on a dairy and sheep farm in St. Rose, IL. She attended and recieved her DVM from the University of Illinois Veterinary School. Dr. Daum joined the staff in May of 2015. She grew up in the town of Newburgh, Indiana. She recieved her Bachelor of Science degree from Purdue University and her DVM through Iowa State University. Courtney enjoys the outdoors and likes to go fishing, hiking, camping and taking her dog, Rem, on walks. 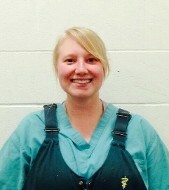 Jessica has been working at Durbin Vet Clinic since July 2011. She recieved her Associates of Science from Kaskaskia College and completed the Veterinary Technician program through SICCM. Jessica lives in St. Peter with her husband, Jamey, her son, Jaxon, and 4 dogs. 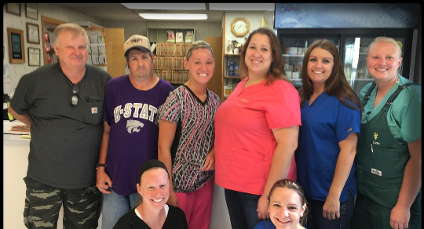 Madison started working at Durbin Vet Clinic in August of 2014. She attended school in Fenton, Missouri to become a vet tech. Madison enjoys hanging out with friends and family and loves being outdoors. She currently lives in Brownstown. 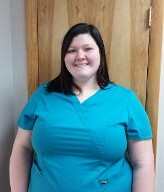 Danielle has recently joined the staff at Durbin Vet Clinic. She has several years experience working in the Veterinary field. In her free time she enjoys being outdoors, hunting, fishing and spending time with her husband. Montana is currently a student at Altamont High School. She is an active memeber of the FFA. She plans to attend college after high school and become a veterinarian. Brandi joined the staff towards the end of 2018. She graduated from Midwest Institue from their Vet Tech program in November 2018. She grew up showing swine and cattle for 4H. In her free time she enhoys being outdoors and spending time with her family and friends. Adrianna joined the staff towards the end of 2018. She is currently enrolled in a vet tech program online and is working to earn her degree. As a child she grew up with many different animals. She enjoys horse riding, fishing, helping with 4H, being with friends and family and doing may other outdoor activities. 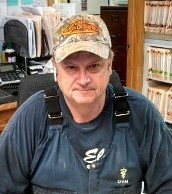 Bernie began working at the clinic in 1994. His responsiblities include cleaning up our messes, handy man and keeping us up and running. Jacob works for the clinic as an assistant at the salebarn. Jacob and his family have a dairy herd of their own that they manage. He also enjoys showing the cattle at local shows. Ryan works for the clinic as an assistant at the salebarn. He enjoys hunting and being outdoors. Callie was born on a farm and brought to the clinic. She has been the clinic cat ever since. Callie likes to lay on the counter (inevitably on that chart you need), get hair all over the chairs and sit on patient carriers. She's fluffy, sassy and thinks she runs the place. Callie sometimes forgets her manners, but she will keep you entertained!